2019 Honda CBR 150R details out, to rival the Yamaha R15 v3 in India? The updated Honda CBR 150R has been showcased in Indonesia. The Japanese motorcycle manufacturer has given its entry-level sportsbike a host of changes that includes reworked fairing design with new graphics and colour schemes. 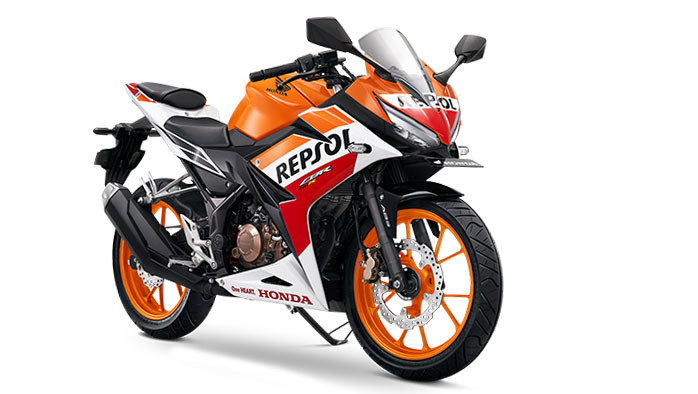 Additionally, the 2019 Honda CBR 150R has also received an update in the features list. The 2019 Honda CBR 150R comes with a more aggressive looking fairing design with LED lights and also a taller windscreen. In terms of design, the 2019 Honda CBR 150R comes with a more aggressive looking fairing design with LED lights and also a taller windscreen. The tank too looks beefier than before while the exhaust sports a dual-tone finish.The colour options on that 2019 Honda CBR 150R include a Honda Racing Red, Victory Black Red, Matte Black along with a MotoGP edition. The features list consists of updated digital instrument cluster with a back light. Powering the 2018 Honda CBR 150R is a 17.1PS making 149cc single-cylinder DOHC liquid-cooled engine. It generates 14.4Nm at 7,000rpm and comes mated to a six-speed gearbox. These specifications and numbers are identical to the previous offering. The braking duty on the 2019 Honda CBR 150R will be taken care of by the new petal discs in the front, While the rear suspension too has been updated. The suspension features a five-level adjustment. 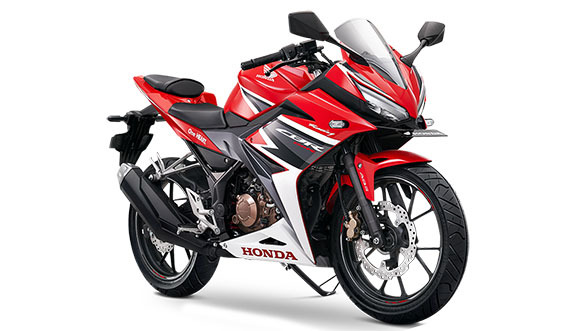 In terms of safety, the 2019 Honda CBR 150R comes with ABS along with an emergency stop signal that makes the rear brake blink under extreme braking. The 2019 Honda CBR 150R is priced at Rp 33,800,00 in the Indonesian market which is approximately Rs 1.63 lakh (excluding taxes and duties). The more premium offering, the MotoGP edition will be available at Rp 38,700,000 that amounts to Rs 1.87 lakh. Honda 2-Wheelers India had launched the CBR 150R in the country in 2011. However, it was last year that the motorcycle was discontinued. With the arrival of the Yamaha R15 v3 in India, should Honda launch the 2019 CBR 150R? Let us know in the comments section below.